M. I. Finley (1912-86) was the most famous ancient historian of his generation. He was admired by his peers, and was Professor of Ancient History at the University of Cambridge and Fellow of the British Academy. His unmistakable voice was familiar to tens of thousands of radio listeners, his polemical reviews and other journalism were found all over the broadsheets and weeklies, and his scholarly … as well as his popular works sold in very large numbers as Penguin paperbacks. Yet this was also a man dismissed from his job at Rutgers University when he refused to answer the question of whether he was or had ever been a member of the Communist Party. 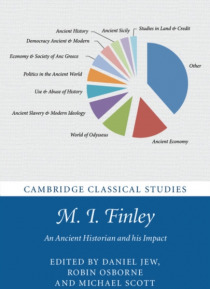 This pioneering volume assesses Finley's achievements and analyses the nature of the impact of this charismatic individual and the means by which he changed the world of ancient history.